Help Us Reach Our July 2014 Fundraising Goal! July has been a busy month for us here at Revision Path as we continue to work hard to create quality content for all of our readers and listeners! Thanks to your support, Revision Path has grown remarkably since we started in February 2013. Our community has spread internationally, reaching the United Kingdom, South Africa, and even Japan! 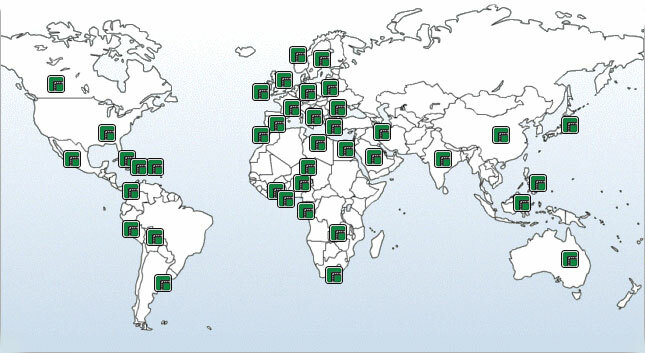 We have listeners in over 30 countries! We are only $176 away from our fundraising goal for July, and we can’t do it without you. With thousands of listeners and a global audience, we need your help to expand Revision Path so we can continue to create the content that you love. Your donations will go towards improving the quality of the podcast, hiring writers to create original content, paying our audio engineer, and towards future plans we have like Revision Path merchandise, networking events, on-location dispatches from conferences, and a lot more. Here at Revision Path, we offer a wide range of sponsorship packages for those who wish to give their support. When you sponsor an episode, we will read your name at the beginning and end of the podcast, and your company name and logo will be featured on the episode page on the Revision Path website. It only costs $20, and you’ll be signed up for the Fist Bump Bulletin, a weekly newsletter with special behind-the-scenes information on upcoming interviews, giveaways, events, and more! Head over to our Tugboat Yards page to sign up for your sponsorship package! We have several donor levels to choose from! Want to sponsor Revision Path for a whole year? We also offer an annual sponsorship! We will also mention your company at the beginning and end of each podcast episode, sign you up for the Fist Bump Bulletin, and receive weekly shout outs on Facebook and Twitter, and your company name and logo will be included in our monthly newsletter. All this for just $500! Love our content, but don’t want to sponsor an episode? We also have a tip jar where you can donate $1 or more. Join our other generous donors and together we will continue to educate and showcase Black designers and developers from around the world. Head over to our Tugboat Yards page to check out our sponsorship packages!